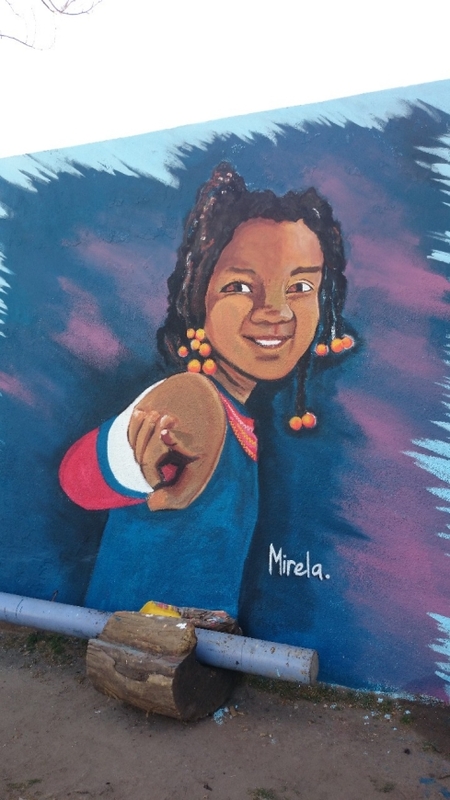 This mural in Buenos Aires was part of a series organised by Red Mundial Juvenil Argentina, Vínculos en Red and Art Emprende. Painted in a small square Plaza la Victoria, the murals depict different kinds of violence, abuse and exploitation that children and teenagers suffer. On 19th September 2015 an event was held to unveil the murals, with artistic and recreational workshops against child abuse and the maltreatment of children. This mural highlights child slavery and emphasises the fact that children should not be forced to work, where they are at risk of exploitation and abuse.